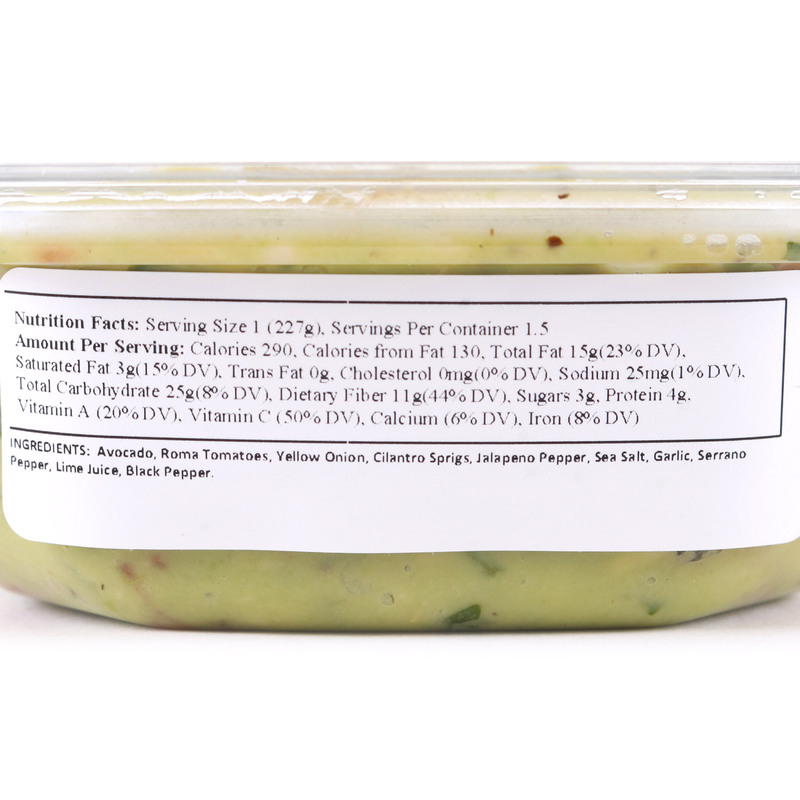 Spicy guacamole made with fresh ingredients! 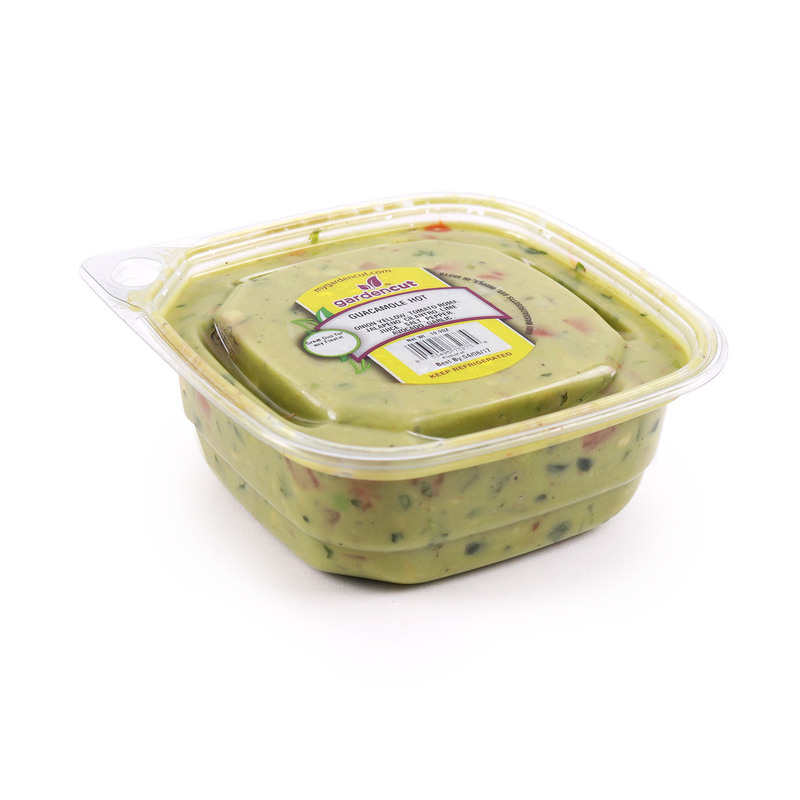 Perfect for snacking or topping your favorite Mexican/Hispanic dishes. Avocado, Roma tomatoes, yellow onion, cilantro sprigs, jalapeño pepper, sea salt, garlic, Serrano pepper, lime juice, black pepper.